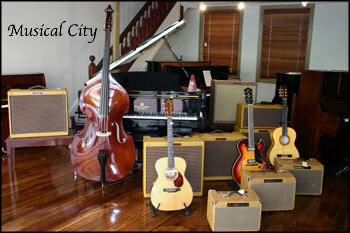 Musical City is an East Coast based musical instrument retail distributor. A family owned business established since 1964 operating Australia wide. We are now also an online store specialising in quality music products. Whether you're in Sydney, Melbourne, Brisbane or elsewhere in a regional area, we can supply you. Call us for a price. We stock everything from custom made guitars, to world class, bench made hand wired amplifiers and effects. LAST UPDATED 09/2018 Musical City 2010 All Copyright & Trademarks remain property of their respective owners.